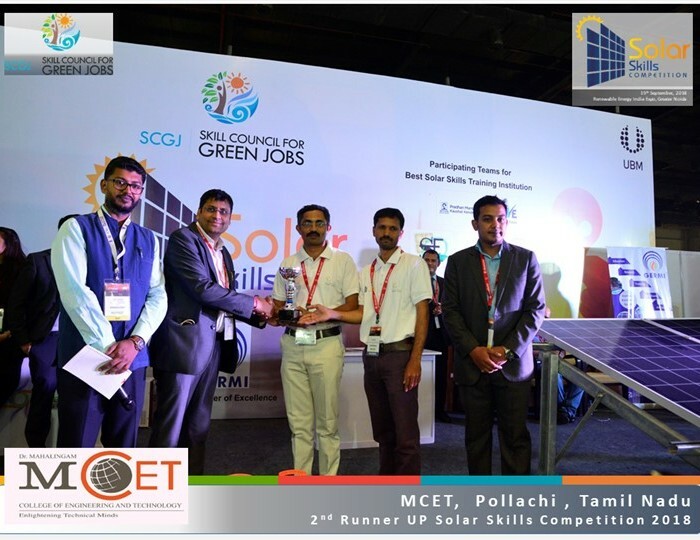 A competition was organised by Skill Council for Green Jobs on 19th September 2018 at REI Expo in association with GERMI and UBM at India Expo Mart, Greater Noida. 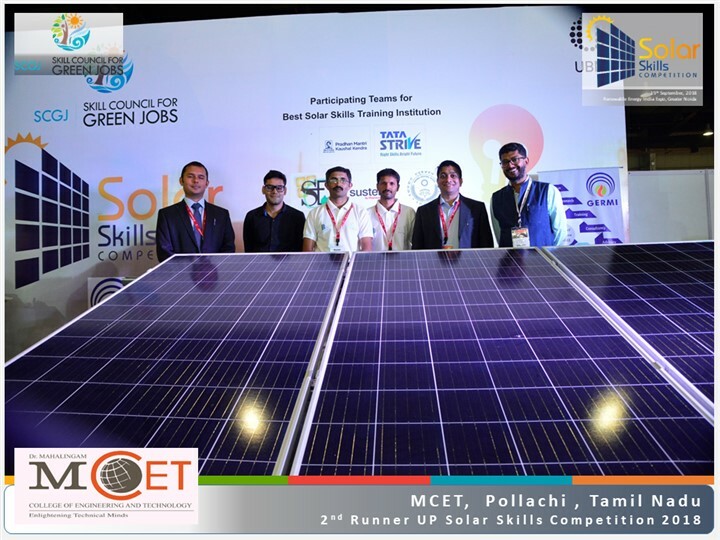 The competition focused on workmanship & accuracy, installation procedure, speed & timing for installation and health & safety aspects. SCGJ received more than 80 interests for entries for the solar skill competition. 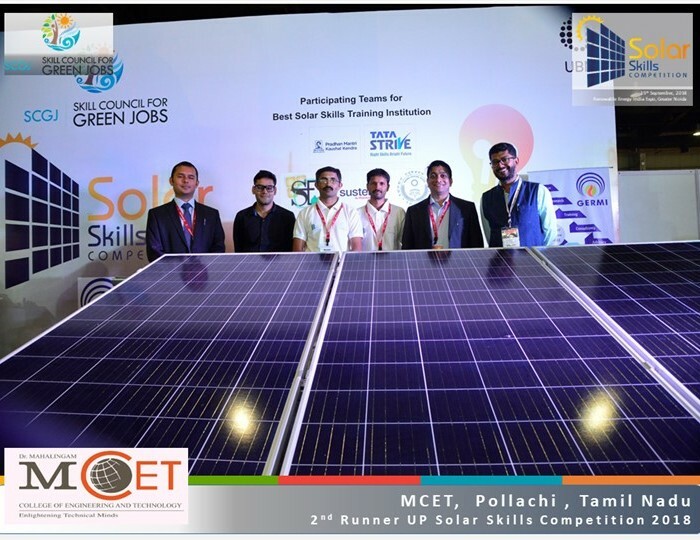 Based on the experiences of the organization and their team members 9 teams were selected for final presentation. 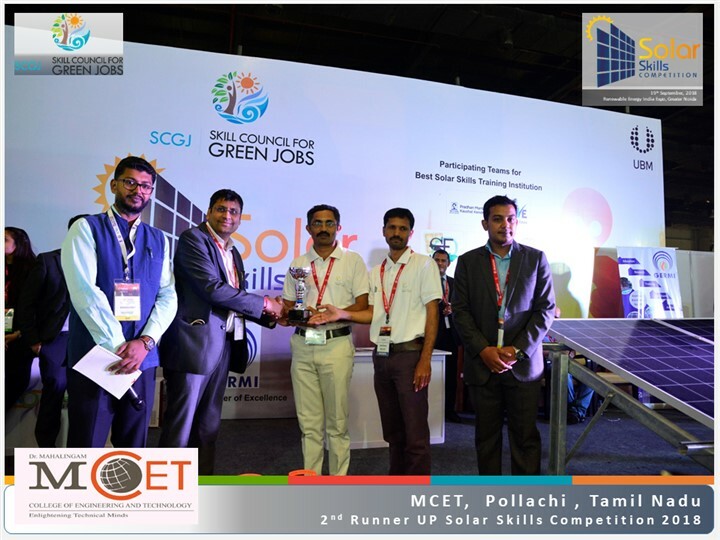 Four faculties were enrolled for the participation and two faculties participated in the event and won second runner up. 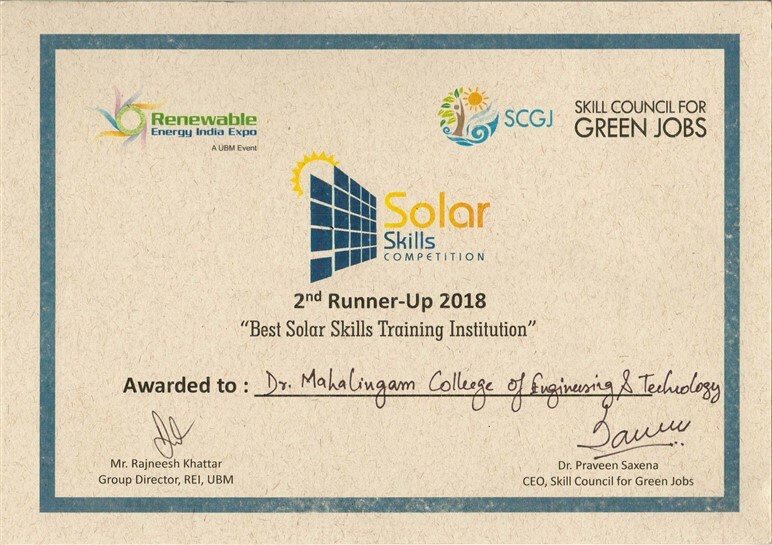 The institute and team members were awarded with the trophy and certificates.